SOHO is a cooperative mission between the European Space Agency (ESA) and the National Aeronautics and Space Administration (NASA). 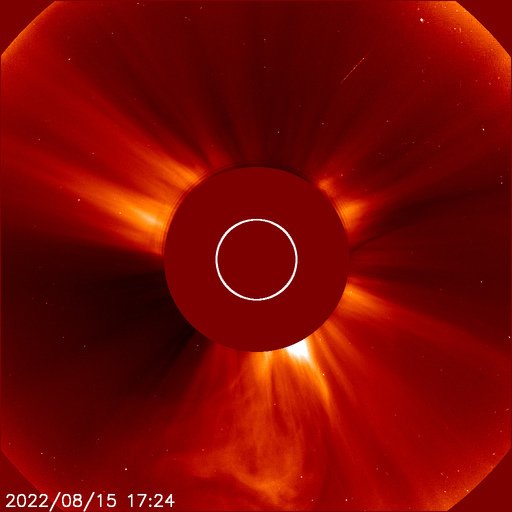 SOHO studies the sun from deep down in its core out to 32 solar radii. The spacecraft orbits the L1 Lagrangian point. From this orbit, SOHO is able to observe the sun 24 hours a day. It carries twelve state-of-the-art instruments expected to meet the mission's three principal scientific objectives. These objectives are: to study the solar interior, to study the heating mechanisms of the solar corona, and to investigate the solar wind and its acceleration processes. The LASCO instrument is one of 11 instruments included on the joint NASA/ESA SOHO (Solar and Heliospheric Observatory) spacecraft. SOHO was launched on 2 December 1995 at 0808 UT (0308 EST) from the Kennedy Space Center, Cape Canaveral, Florida. 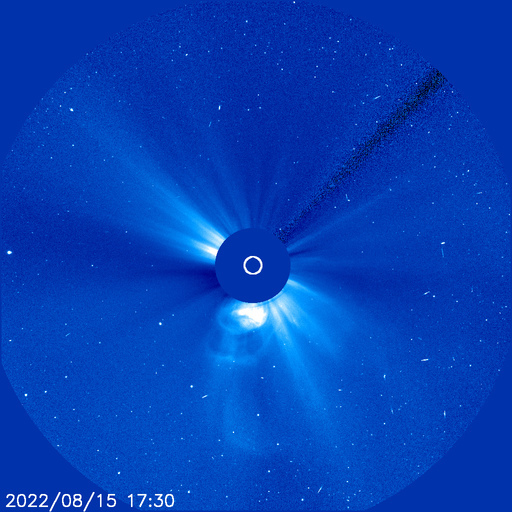 The LASCO instrument is a set of three coronagraphs that image the solar corona from 1.1 to 32 solar radii. It is convenient to measure distances in terms of solar radii. One solar radius is about 700,000 km, 420,000 miles or 16 arc minutes. A coronagraph is a telescope that is designed to block light coming from the solar disk, in order to see the extremely faint emission from the region around the sun, called the corona.